You have a Kapha type constitution. This means that your dominant dosha is kapha, which comprises of earth and water. You have a cool and calm disposition that allows you to mult-task quite efficiently. You love stability and routine and are usually averse to change. Learning new tasks and skills can be challenging, but once you learn something, you master it for life. Relationships are extremely important to you and you have a nurturing personality, with strong feelings of compassion and high levels of empathy. 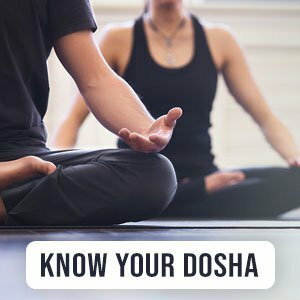 The biggest drawback of having kapha as your dominant dosha is your high risk of weight gain. Maintaining healthy bodyweight can be challenging as you love eating and tend to be sedentary. On the plus side though, you have soft clear skin and beautiful lips. Your skin also tans easily, but you need to be cautious because of a higher risk of sun damage. Possibly the biggest perk of being a kapha type, is your thick lustrous hair! Your body temperature tends to be cooler because of your kapha dominance, which is why you tend to favor sunny tropical climates. The ideal environment for you though, is one with warm and dry conditions. If you fail to balance kapha levels, you put yourself at higher risk of depression and metabolic syndrome disorders like obesity, heart disease, and diabetes. You are also more vulnerable to respiratory diseases that are characterized by heavy congestion. Because of your dominant dosha, you also have a tendency towards water retention and conditions like edema.